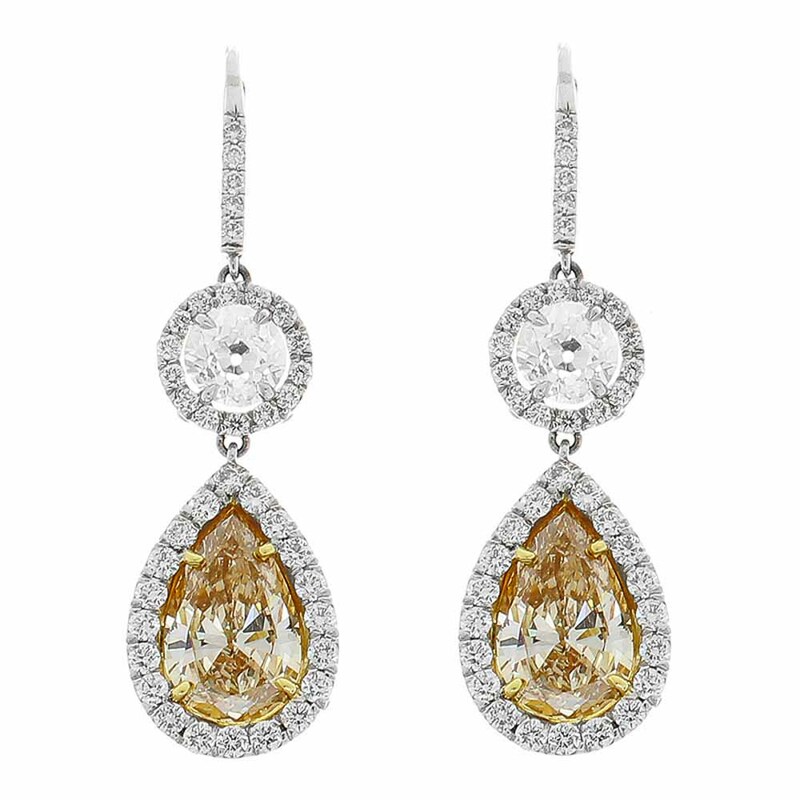 Two pear-shaped natural fancy brownish yellow diamonds are prong set in the center of each earring totaling 3.15 carats. Its color is cinnamon. A sparkling round brilliant cut diamond is prong set on top of each colored diamond both totaling 1.16 carats. These center stone diamonds are offset by additional round brilliant cut diamond accents that frame this design throughout in a halo cluster all totaling 1.08 carats of pure fire and scintillation. Designed in platinum in a bright polished finish, these luxurious drop style earrings have gem-set lever backs that sit gracefully on the ears when worn.